So many muscle cars and so little time. That’s a great sentiment if you haven’t found the muscle car that fits your personality. Dodge, however, has been making muscle cars since the mid-1960s and no one’s complained yet. If you were from that era you saw first-hand what those truly fast performance cars could do. They’d screech out of hamburger parking lots and race up and down the main streets until the cops came out of the shadows. When that happened then you really understood what a muscle car could do. Nine times out of ten the Dodge Charger or Challenger or Super Bee would out run the black and white and never be seen again until the following weekend, when the show would start all over again. You can still see some of those old classic speedsters in hamburger parking lots and roped off mall areas. Only now the drivers are a little tamer and the cops actually know them on a first name basis. No more outrunning the police cruisers – probably because today’s cruisers are muscle car fast and can out run just about anything on the road anyway. But also speeding tickets and evading arrest fines are pretty stiff these days. Dodge is still building muscle cars in case you didn’t know and can be seen at local dealers like Sport Durst Dodge. 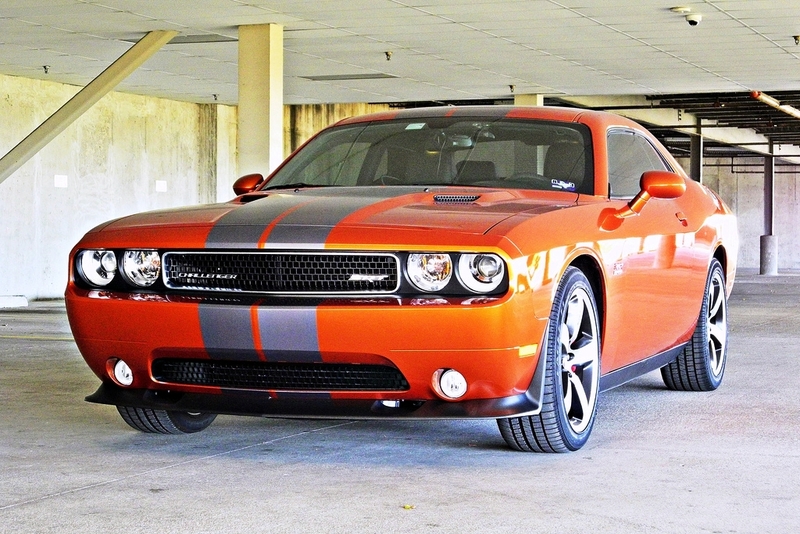 The Dodge Challenger for 2014 is one of the best muscle cars on the market. It’s fast, sleek and has the classic capability to screech out of a hamburger parking lot and out run a cop car if it wants to. It’s also going to be in production for at least two more years in case you’re interested. That means that it is so popular that Dodge and Chrysler see the value in muscle cars and are making every effort to keep them on the road. We think this is a good idea. Muscle cars and America go hand in hand. A Challenger might seem out of place in, say Luxembourg, but in the States the Challenger is a rebel and we, as Americans, have always identified with rebels, especially rebels that can travel at the speed of light (figuratively speaking, that is). The 1960s spawned them but the 21st century is nourishing them and hopefully, muscle cars will never go out of style. If they do, classics like the 1970 and the 2014 Challenger will pop up at some hamburger joint ready to race a cop car to the end of the street.